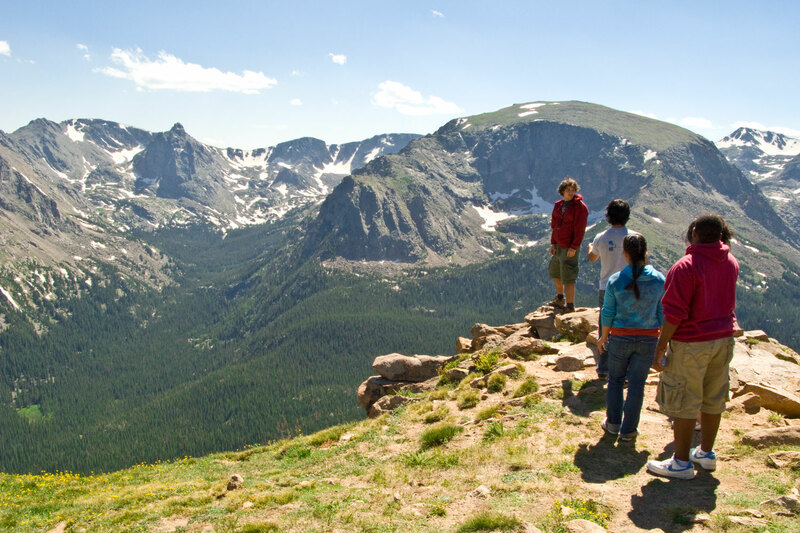 Colorado's Rocky Mountain National Park is one of the most popular national parks in the United States, greeting more than 3 million annual visitors with rugged postcard-perfect peaks, lakes and trails. 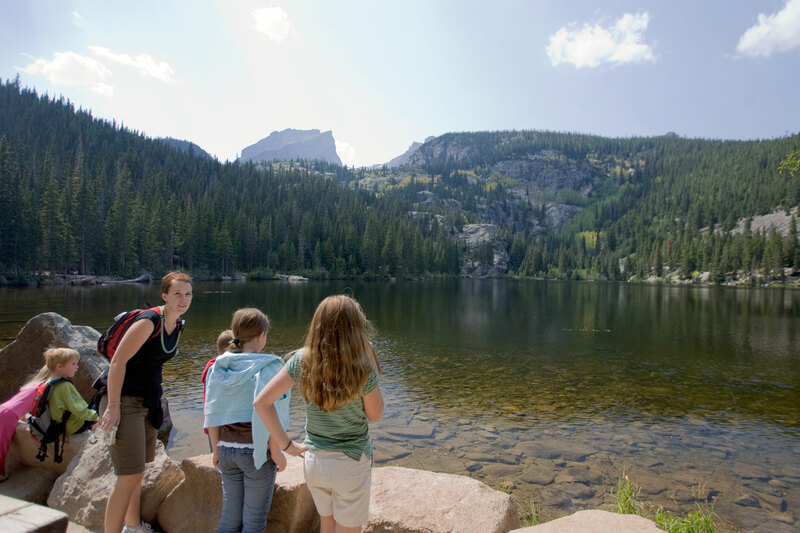 The 415-square-mile protected high-country playground, located between Estes Park and Grand Lake, occupies a hefty chunk of northern Colorado and draws family vacationers, hikers, wildlife watchers, rock climbers and photographers year-round. In September 2015, the park celebrated its 100th anniversary. The park is within day-trip distance of Denver and the growing Front Range and unfolds a wide range of activities that include summiting 14,259-foot Longs Peak, camping in the expansive backcountry, hiking to waterfalls and alpine lakes and — the park’s No. 1 attraction — viewing wildlife. 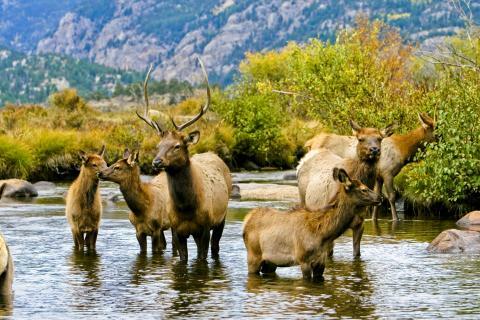 More than 3,000 elk, 800 bighorn sheep and herds of mule deer and moose live in the park. For the best photography lighting and opportunities to spot massive bugling elk, head to Moraine Park just after sunrise. View bighorn sheep at Sheep Lakes May through mid-August and catch a glimpse of RMNP’s ever-elusive moose population along the Colorado River in the Kawuneeche Valley on the park's west side. Become immersed in Rocky’s pristine landscape on some of the park’s 355 miles of hiking trails. Choose from flat lakeside walks to steeper, more challenging mountain climbs. The easy .6-mile Bear Lake trail is a popular hike featuring an interpretive nature trail hugging a subalpine lake at the end of Bear Lake Road. For a stunning waterfall hike, make your way to Alberta Falls or Ouzel Falls. Visitors come from far reaches to travel America’s highest continuous paved highway. Not for the queasy and open only between Memorial Day — pending the towering walls of winter snow have melted — and Labor Day, two-lane Trail Ridge Road takes explorers across the Continental Divide, past weathered tundra overlooking sweeping valleys and into the clouds at 12,183 feet. The ribbon of a road covers the 46-mile stretch between Estes Park on the park’s east side and the marine town of Grand Lake at the park’s western entrance. There Peak to Peak Highway is another byway near the park, starting in Estes and going through Nederland, Black Hawk and Central City. 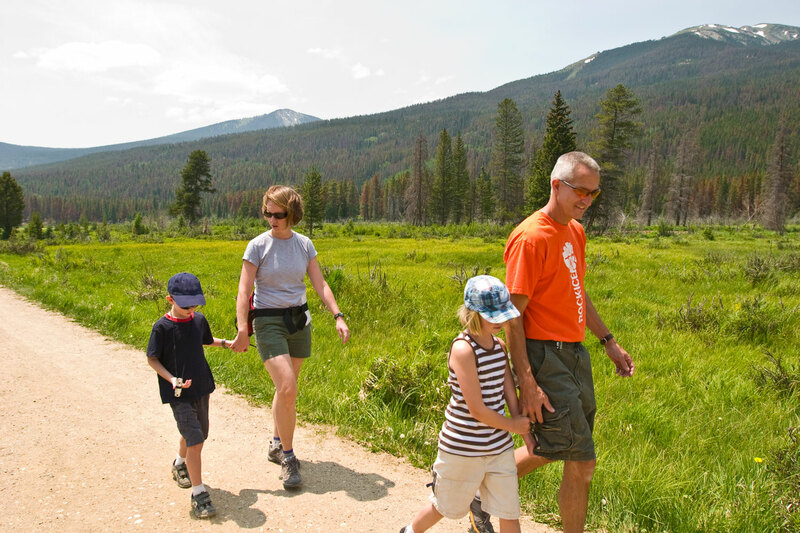 Locals and return visitors love RMNP so much that they volunteer more than 100,000 hours a year (equal to 48 full-time employees) as park ambassadors, gladly donating their time to operating visitor centers, improving trails and park upkeep. Find out how to get involved with volunteer efforts.